OK Magazine claims that High School Musical star Zac Efron will replace Tobey Maguire in the upcoming reboot of "Spider-Man" for Sony being directed by Marc Webb. The tabloid reports that Efron will be paid a sum of $9 million to play the role. OK Magazine also claims that Efron's High School Musical co-star Vanessa Hudgens is in the running for the role of Mary Jane Watson. There is no doubt that hiring Efron and Hudgens to star in the upcoming "Spider-Man" would easily bring in the teen audience, but I highly doubt that this report is true. OK Magazine gives no real source or confirmation other than a likely studio insider, so take this rumor for what it is, a big whopper. Outside of the fact that OK Magazine's claim has not been validated, I would not be that opposed to the idea of Zac Efron as Peter Parker. He really could make a perfect fit. I'm sure there are those of you who would gasp at the idea of Efron as Spidey, but he has me smitten. Efron is a huge draw to the teen and female audience and would ensure Sony getting an easy draw there. 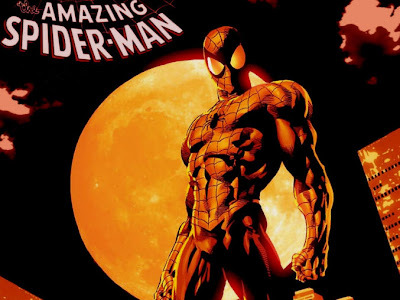 Then again, his casting could really upset the Spider-Man fanboy nation, but I think he would win them over in the final product. As far as Vanessa Hudgens as MJ, no way. I don't see it. It's not gonna happen.